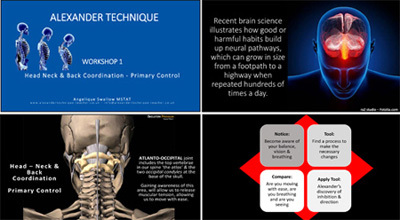 Curriculum: Presentation on anatomy, general information about the workings of the body & mind including all new relevant scientific research. Working in activities, learning how to move according to our design and to our best mechanical advantage, to help us carrying out all our daily acitivities without undue muscular tension. 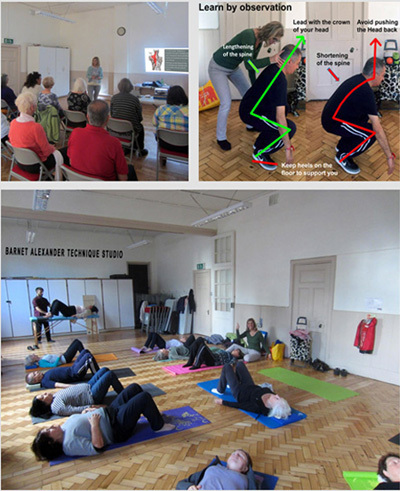 We also work in semi-supine, allowing gravity to do all the work for you us and which is termed in the Alexander Technique as constructive rest.